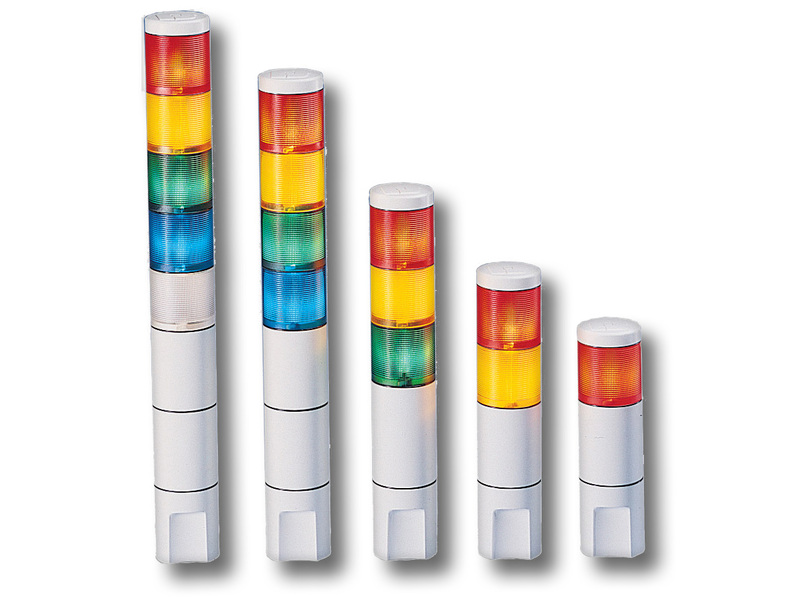 The MicroStat® is a compact, Type 4X status indicator, Type 1 with optional sounder. Ideal for OEM applications, the MicroStat comes pre-assembled as 1-, 2-, 3-, 4-, or 5-high light units. The user selects combinations from five colors: Amber, Blue, Clear, Green and Red. O-rings between each segment provide a water-tight and dust-tight seal. The base of each light can be surface or pipe mounted (3/4-inch NPT). The lenses lock together and snap apart with a simple twisting motion, allowing for easy lamp changes and quick lens resequencing. A rugged vibration-resistant, thick-filament wedge lamp fills each lens with light, providing excellent optical performance. Wire connections are made through a 2-piece terminal block. The MicroStat is designed to work with PLC outputs including “Triacs”. An optional sound module can be installed in the top position of any MicroStat as one of the 5 units. The Sound Module Kit (MSS–See page 32 for details) consists of a slotted grille and board-mounted piezoelectric horn. The sounder plugs directly into the wedge socket.